The Dental Hygiene will update their homepage to reflect the new entry requirements. Here is a preview of those changes. NAS 161, 162 will be accepted if completed no more than 4 years prior to application. 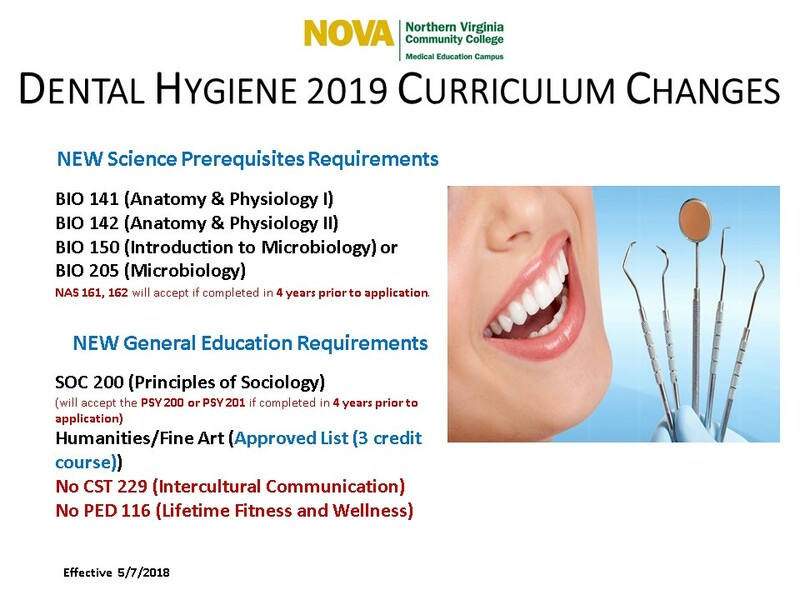 The Dental Hygiene Department has decided to extended the application deadline from Monday February 15 to Friday February 19. Applications must be post marked no later than February 19, 2016 to be considered. Late applications will not be accepted. If you have not done so, take your TEAS test and submit your application. Transcript evaluation- What will Transfer? If you have attended college prior to NOVA, you should request your official transcript from each institution attended. Additionally for Nursing applicants you should request your high school records as well. In order to know what will officially transfer to NOVA, you must have each transcript evaluated by the College Records Office. Simply submit your official transcript at any campus along with a Transcript Evaluation Request form (125-049). The process takes approximately four to six weeks. It is pertinent that you begin this process as soon as possible. If you have other types of transfer credit such as AP, IB , ClEP follow the same steps. If you would like to know what will transfer to NOVA, you may use the Transfer Credit Evaluation database maintained by the College Records Office. Please be aware that NOVA will only accept transfer credit from other universities that have been accredited by one of the following agencies. Please note that NOVA does not accept transfer credit from schools accredited by: Association Of Independent Colleges And Universities or National Association of Independent Colleges & Universities. You’ll never have to walk far to get to your next class. The MEC is three floors brimming with next generation teaching tools, and world class labs. Don’t want to drive? With shuttle services running throughoutΕ the day, you’re never more than a 10 minute ride from the Franconia-Springfield Metro. Just show your NOVA ID and ride for free. Our one stop shop has everything you might need in one office. Need Financial aid, Disability services or advising? Come to room 202. Our student activities office is active and our clubs keep our students engaged with one another and the community. Stop by 116 to find out more. Need your coffee? We’ve got that too. Our on campus Starbucks is always there to keep you caffeinated. On most days I’ll have at least one or two students sitting across from me with this pervasive problem. They’ve completed everything to apply, and they still need to pass the math placement test, or in the case of our nursing students the math placement test and the TEAS (Nursing Pre-Admission) test. You can see the frustration hang in clouds around them as they come to the common issue of mastering math before a deadline. Let us call these two students Sigma (∑) and Mu (µ). hopeful glance that I will say no. “Is there someone I can talk to” Sigma plaintively asked, looking to be absolved from the burden of dealing with math. Again I have to break the news that no, they must meet all established requirements. Math for most of the allied health and nursing programs is not something to be taken lightly. The placement test requirement is there to make sure a student is well equipped to deal with the mathematical concepts present in the different disciplines. As such it must be taken to heart that passing the test is not just meeting a requirement, but signaling that you are at least in part ready to tackle the challenge ahead. Sigma stirs and says, “I’ve completed a degree….I don’t need to take the placement test do I?” The short answer is always yes; all students are required to demonstrate that they are able to operate at the prescribed math level. Not all degrees require college-level math courses and as such a student may in fact still need to take a test. If a student has transferred college-level math to NOVA than a test is not required. For all others taking the math placement test is a must. “Ok, I get it. I’m going to have to take the math placement test? What can I do now? I’m ‘terrible’ at math,” grumbles Mu. At this point in the visit, the hope starts to drain out of a prospective student, swallowed up by the idea that this abstract assortment of esoteric knowledge will hold them back in their march forward. Most students do not realize that they can prepare for the math placement test like any other test. They also do not understand that there exists a wealth of resources to get them up to speed in almost any topic imaginable and they’re all for free. The cost to the student is the time and effort it takes to understand the material. (Easier said than done right?) Nothing comes easy, but at the end of the day, the question is how bad you want/need it. For some students, this will mean taking a developmental math course for a semester or two, and potentially missing a deadline. For others, it will involve setting aside other commitments to focus on the primary objective. Math does not need to be the end of the road, often it is just the beginning of it. Take the time to look over the following links as you prepare to take a step towards your goal. The first step is to review the Math Placement Test site on the NOVA website. 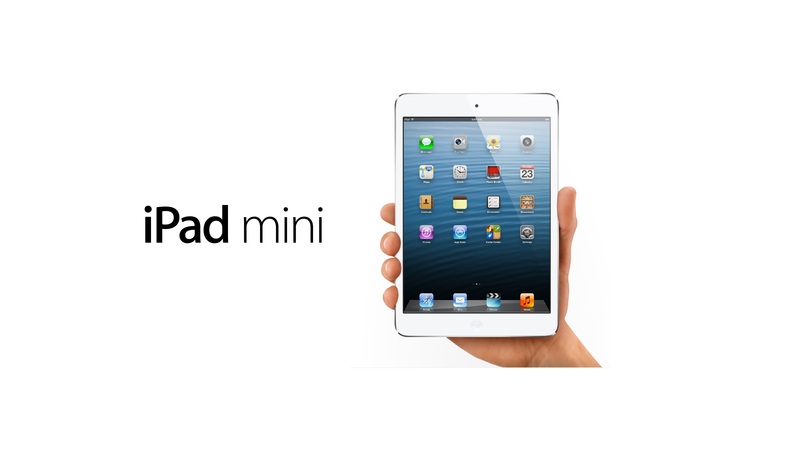 It offers a wide variety of links that may assist you. 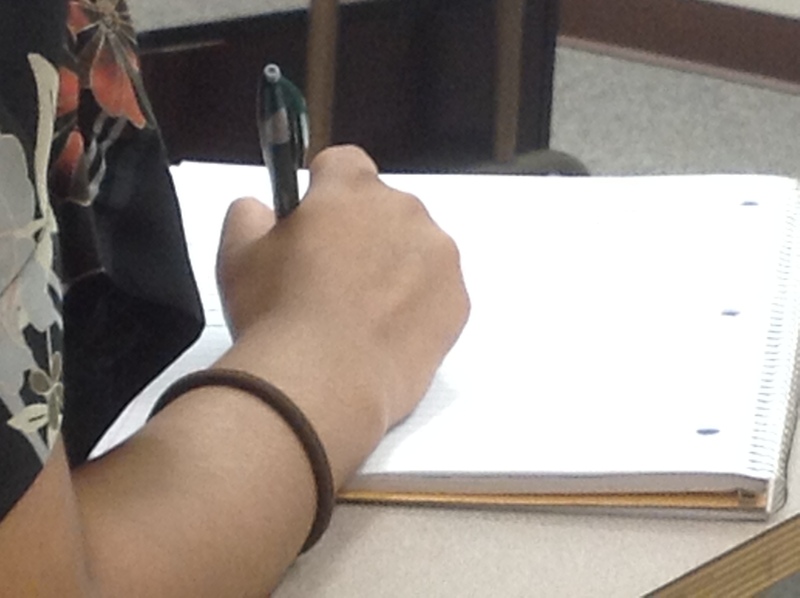 For many students the practice test and review packet is sufficient. 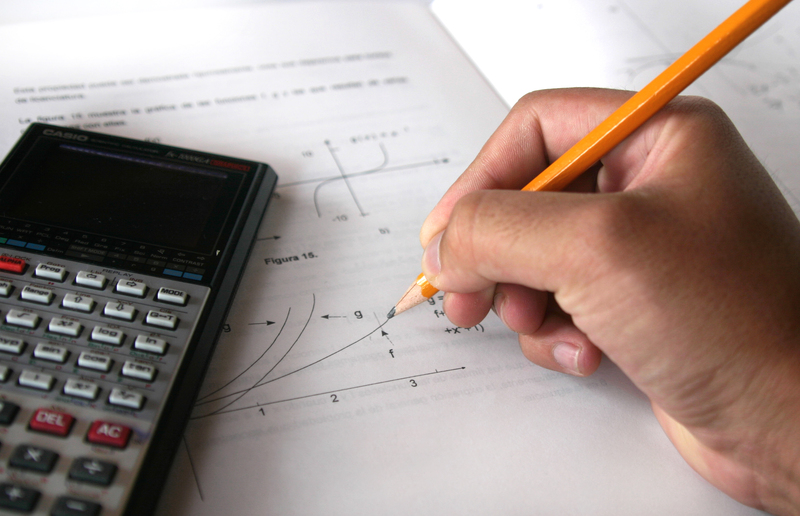 Some students will wish to practice their math skills before taking the exam. Khan Academy is a free online school. Students typically find that practicing on this site at least an hour a day for a week or two gets them ready for the test. If you are not able to pass the required units that your program application requires, you will then be required to take a developmental math course. Developmental math is not a four letter word, but an opportunity for you to grow academically and better prepared to succeed in your program of choice. Some of the Allied health programs are going through some changes to their competitive admissions. They are still in the process of finalizing the changes and hope to be done in September. Here are some highlights to the changes for this 2015 application. There may be additional changes but these are the ones that we are aware of at this time. Please keep an eye out for the new application which will have all of the changes for 2015.